By “the future,” commentators usually mean “a reality corresponding to some writer or creative artist’s widely disseminated vision,” which shows the odd poverty of their own imagination as well as the degree to which they often underestimate the power of creative artists/humanities types to drive technological evolution. But can human ingenuity really aspire to nothing more than the realization of a particular flight of fancy? Should we congratulate ourselves for bringing to life the technology from a reality that doesn’t exist? Maybe. I think that viewing “technology” as the product not simply of a linear progression of machinery but also of contemporaneous creative artistic visions (which don’t necessarily follow a similarly linear path) can elucidate those aspects which make devices, software, and services appealing to people. Most individuals don’t know that much (and don’t care) about specifications, and in many cases likely cannot notice a huge difference between one product generation and another. But despite this general lack of hairsplitting over spec bumps and generation-to-generation changes, people do gravitate toward general product categories while shying away from others. iPad vs Surface, or Android vs BlackBerry, are some examples. In other words, people have good sense in differentiating categories, if not technical details. But what do some of those more attractive categories have in common? For one, they were not totally obvious when they debuted. The iPad was based on almost no market research and resurrected a category – tablet PCs – which had been abandoned by other companies marching along on their own paths of “progress,” and which completed a circle back to nigh-ancient means of human interface design and input. Android made a wonky Linux-based cellphone OS successful during an era when most computing was still done thru closed-source Windows. And the iPhone? Well “[S]ometimes you see a new innovation and it so upsets the world’s expectations, it’s such a brilliant non sequitur, that you can’t imagine the events that must have lead to such an invention. You wonder what the story was,” is how one man put it. On the other end of the spectrum, you have too-obvious devices like touch-enabled ultrabooks, the Surface line, and basically everything BlackBerry has released in the wake of the iPhone 3G shattering its reason to exist. They don’t fit into coherent categories, don’t do any single thing well, and only exist to loudly announce that they’re The Future, without doing the work necessary to qualify as such. Google Glass is obvious. It hasn’t even been released yet and it already has its own mythology, about how it is driving (despite not being widely available) us into the era of “wearable computing” and, more importantly, stealing the mantle of innovation from Apple, who still prefers to do quaint things like wait until a product is finished and salable before thrusting it upon the public. Heads-up displays may someday be a viable product category, but this specific product – Google Glass – is going to be a flop. I agree with Guy English that wearable computing, for all the presumptive nods it gets in the tech media, is hardly a sure thing and possibly something that just won’t strike a chord with normals who don’t want to become cyborgs. As with the way-overblown demise of Google Reader, the tech press often forgets that it occupies a geeky echo-chamber fed by sites like The Verge and Reddit, in which reactions to things like the end-of-life of an RSS client and the impending release of a cyborg hat have much different currency and urgency than they do with the population at large. 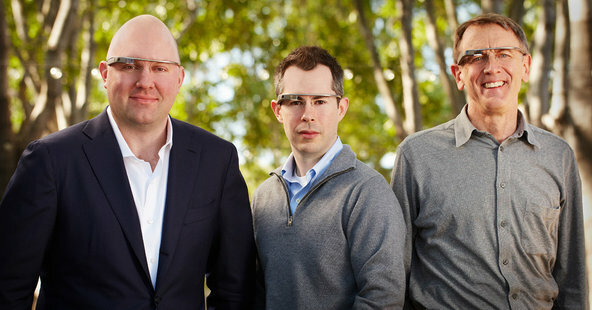 What I’m saying is: Google Glass is not a consumer product for average consumer. It’s perfect for the geek loner/showoff. Accordingly, it has about the degree of decorum and respect for others’ privacy that one might expect from the CEO of the similarly “futuristic” product, Uber, or from Glass-happy Mark Zuckerberg, who will surely bring Facebook’s exhaustive, intrusive status updates to the device. Ok, ok: some point out that we used to be afraid of how cellphone cameras would end privacy and decorum, too. But most cellphones aren’t made by advertising companies who offer lots of “free” services in exchange for data collection, and who also make the 2nd-largest social network in the West. How easy will it be for a secretly captured Glass photo/film to “accidentally” make its way onto YouTube or G+? Silver-lining: Google Glass, to the extent that anyone uses it, will team up with services like Facebook Home to accelerate social-network fatigue. There will be no escape from carrying your friends list and wall posts everywhere, to the extent that reality itself may end up as a sadder place. The current attitude, often described as solutionism, sees Google Glass a way to “fix” apparent issues like smartphones apparently not being immersive enough (you can turn them off and put them in your pocket very easily, after all, and it’s obvious when you are/are not paying attention to bystanders while using one). It even seems to attempt “fixing” the issue of paying for stuff – Glass doesn’t even allow app makers to charge for their Glass services, or serve any ads. Google Glass (the specific product/preview) isn’t “the future.” It’s just the best evidence yet of Google’s insistence on force-feeding the world questionable solutions to “problems,” like privacy and smartphones, which aren’t real problems for anyone except for iteration-/sci-fi-minded executives. If someone says something is “the future,” don’t take his word for it – after all, age-old inventions like silverware, shoes, and restaurants (to quote some of Nassim Taleb’s favorite examples) have outlasted literally thousands of years of disruption, and even CDs are still going strong. What we see as “progress” is often nothing of the sort, and Google Glass is a good reminder of that.